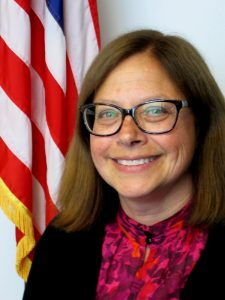 Elinore F. McCance-Katz, MD, PhD, assistant secretary for mental health and substance use at the Department of Health and Human Services, and head of the Substance Abuse and Mental Health Services Administration (SAMHSA), is passionate about the importance of medication-assisted treatment (MAT) for opioid use disorders (OUDs). And she considers medications and comprehensive wraparound services as being essential. The three medications approved to treat OUDs are methadone, buprenorphine, and naltrexone. “Science clearly shows that these three work, if you stay on them,” said Dr. McCance-Katz, emphasizing the “if.” Abstinence-based treatment doesn’t work for most people, she said, although naltrexone can be viewed as abstinence treatment in terms of opioids, and it does require complete withdrawal from opioids first. Only opioid treatment programs (OTPs) are able to offer all three medications, she noted. OTPs also provide the added support that is crucial to recovery, she said. She is concerned that office-based opioid treatment (OBOT), if not regulated, would lead to pill mills, and these could damage and jeopardize the integrity and survival of treatment itself. Currently, OTPs are the most highly regulated treatment settings for OUDs, followed by the relatively loosely regulated OBOT providers with DATA waivers. In February, SAMHSA released Treatment Improvement Protocol (TIP) 63, Medications for Opioid Use Disorder. The new publication updates TIPs 40 and 43. Dr. McCance-Katz oversaw the development of the new TIP. SAMHSA’s TIP series provides best practices in the behavioral health field. 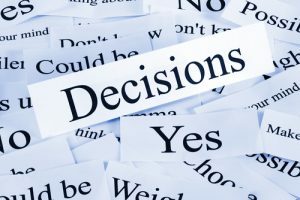 Each TIP’s consensus panel includes researchers, service providers, program administrators, and patient advocates, with content assessed by field reviewers. The new TIP provides an overview and detailed information on the use of methadone, buprenorphine, and naltrexone. We asked Dr. McCance-Katz how to respond to requests from patients who want to switch from methadone to buprenorphine—not because of any issue with their medication, but because of the less onerous requirements for clinic visits. Patients can get take-homes and prescriptions sooner with buprenorphine than with methadone. But it’s still a conversation that the doctor can have with the patient. “If the patient really wants to taper down, I would talk with them, we would have many discussions,” she said. While SSAs are familiar with the benefits of methadone, the governors they work for, as well as the state legislature, may have a different philosophy. And that—not the SSAs and the SOTAs they work for—has been the main sticking point in states that refuse to liberalize take-home policies. Asked whether SAMHSA can do anything about states that have stricter take-home limitations on methadone than the federal guidelines, Dr. McCance-Katz said that it could not.